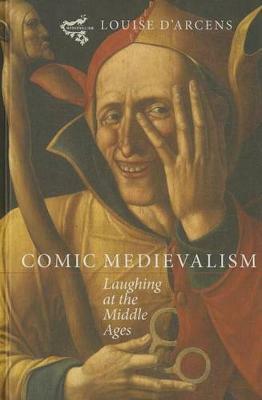 The role of laughter and humour in the postmedieval citation, interpretation or recreation of the middle ages has hitherto received little attention, a gap in scholarship which this book aims to fill. Examining a wide range of comic texts and practices across several centuries, from Don Quixote and early Chaucerian modernisation through to Victorian theatre, the Monty Python films, television and the experience of visiting sites of "heritage tourism" such as the Jorvik Viking Museum at York, it identifies what has been perceived as uniquely funny about the Middle Ages in different times and places, and how this has influenced ideas not just about the medieval but also about modernity. Tracing the development and permutations of its various registers, including satire, parody, irony, camp, wit, jokes, and farce, the author offers fresh and amusing insight into comic medievalism as a vehicle for critical commentary on the present as well as the past, and shows that for as long as there has been medievalism, people have laughed at and with the middle ages. Louise D'Arcens is Associate Professor in English Literatures at the University of Wollongong.